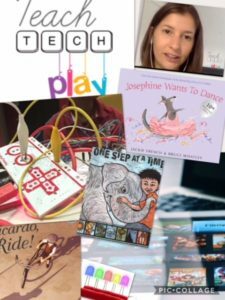 To find out more about Jackie, visit her profile in the Educator of TeachTechPlay community. 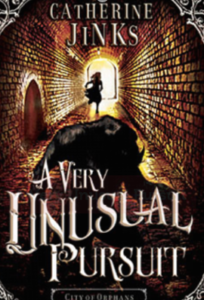 *This post first appeared on Jackie’s blog Tinkering Child. 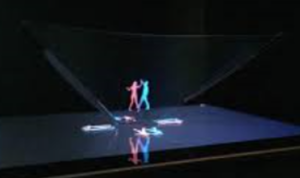 I was honoured to be invited to present on TeachTechPlay Webshow Episode 39, by Eleni Kyritsis. 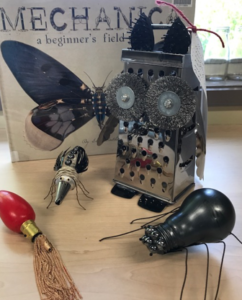 I decided to share some of the things #bestteachingpartnerever, Megan Daley, and I have been doing using literature as a springboard for design thinking and using a variety of technology we have acquired for our Makerspace. 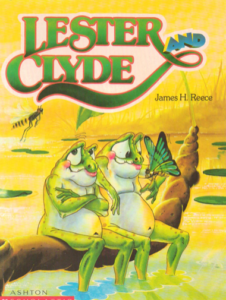 Using books to engage students is ‘what teacher librarians do’ and so it was a natural fit to then incorporate technology to further develop understanding, themes, characters, issues, plots, styles, concepts and to have fun with the stories we were sharing. Our library lessons are structured with 3 weekly rotations; Recreational Reading, Inquiry Learning and Technology + X. Working with small groups of students gives us time to demonstrate and explicitly teach skills required. I thought I’d share in this post some of the stories we have used technology to further engage students. These activities also meet descriptors in the Digital Technologies curriculum. After reading excerpts from the book and whetting the girls’ appetite to read more we brainstormed mythological creatures. The girls then designed their ‘Bogles’, term taken from the story, including an LED on part of the creature. This activity required the students to understand circuitry and enabled them to use copper tape, electric paint and/or Chibitronics to illuminate their LED with a 1.5v coin battery. 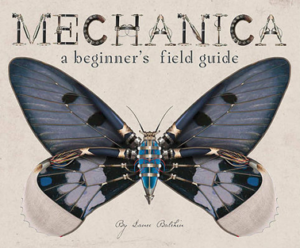 This amazing book is about robotic animals that start to evolve on their own in the wild. It’s set 200 years from now, in a future in which humans have destroyed the environment. Liberty Crisp, a 15 year girl who has studied science all her life, is caught in the middle of a brewing war between humans and machines. The girls and I spent a long time analyzing the incredible illustrations promoting plenty of discussion. The girls went on to design and create incredible creatures made from recycled items found in the home. As part of a competition the girls were invited to make a ‘Mechanica’ move. Many used elastic bands, others used small motors but one which grabbed my attention was using magnets to make it move! Although this activity didn’t include technology to start, it did lead into further activities within the library which did include technology. 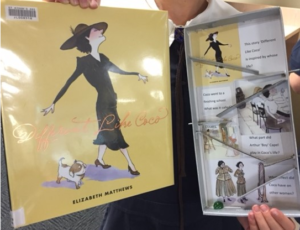 Our girls loved this story of Gabrielle ‘Coco’ Chanel, a poor orphaned skinny child who was ‘different’ but believed in herself to create and become a fashion icon. Again, there was plenty of discussion, sharing of ideas and thoughts. As a follow-up activity the girls were invited to make a marble-run using ideas and questions to progress down the run. When the marble came to a discussion point or question, it had to be discussed or answered before releasing the marble to move on. Many girls decided to do the same with other books they had enjoyed. This activity resulted in a large Marble Run Wall being built by many students in the school, including spinning wheels, LED’s and pulleys as well as being filmed and timed. 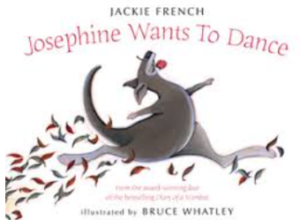 This enchanting story of friendship, hope and joy inspired our Year 1 girls to use Squishy Dough to make something light from dark. In the story Peterboy wants to bring light into his Grandpa’s life, he does this through Idaduck. It’s a beautiful story and the girls demonstrated going from darkness to light in their creations, for example a blob becoming a snail, a cocoon becoming a butterfly. 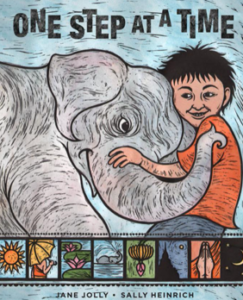 This is a very touching story of Luk and his elephant Mali, who steps on a landmine. Luk cares for Mali, who is fitted with a prosthetic leg. This accident brings the boy and his elephant even closer. The year 6 girls used Tinkercad to design a new leg for Mali and 3D printed them. 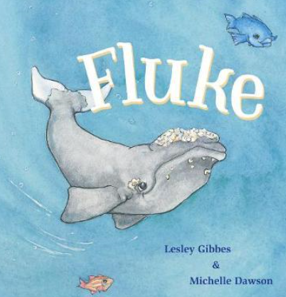 Before reading this book to the girls I immersed them in an underwater world through virtual reality. I used the app VR Diving to give them the feeling and sense of the environment Fluke lived in. It’s a lovely story of being lost and found. 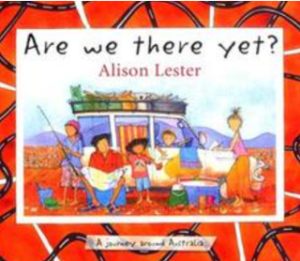 This popular story loved by adults and children fitted well with using a Pro Bot to navigate the journey of Grace and her family as they travelled around Australia. After reading parts of the story the girls took it in turns to program the Pro Bot to move to the location mentioned. Another activity we have done is to invite students to navigate a robot to a location on the map and then try to locate in the library, using Oliver (our online catalogue), to find a book which has a setting in that area. 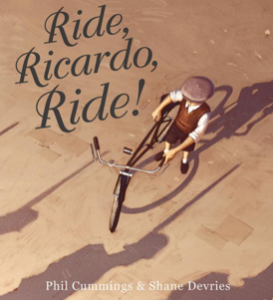 This is a powerful story of WWII and the effects the war had on a village, especially the lives of Ricardo and his father. The significance of the bike in the story promoted the girls to use materials from the Makerspace to make a bike. One student recreated a scene from the story and used littleBits to make the bike travel across the scene. An oldie but a goodie! After sharing this story about two frogs and discussing the pollution of waterways the girls used Makey Makey with SoundPlant to make the school garbage bins thank people for disposing of their rubbish into the bins. Linking literature and technology is lively, fun and promotes learning.